First-time cruiser? If so, then one of the biggest questions you might have is figuring out exactly what’s included in the price you pay for a cruise. It used to be simple — pay a set price and everything on the ship was included. These days things have gotten a bit more complicated as cruise ships continue to get bigger and more elaborate while also wanting to earn more money. While most things aboard the ship are still included in your cruise fare, the trend is definitely toward charging extra where they can. 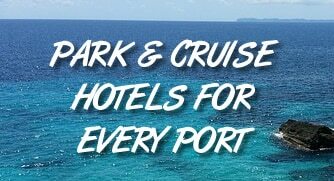 While the list of items below should give you a good idea of what you can expect aboard most ships, keep in mind that each cruise line and ship can be a little different. So while this should cover most ships, your specific trip might encounter something different. First things first, your cabin is what you’re primarily paying for on a cruise. In fact, what makes cruising so affordable is that there are options for every budget. So if you want to save some money and just get on the ship, you can purchase an interior room to sail. Want to go high end? You can dish out the cash for a balcony room or suite and get more space and a nicer cabin. But once you’ve paid your fare, there are no “resort fees” or other extras for your room like you might see in some resorts. These days specialty restaurants (covered below) are becoming more popular on cruises, but for most places to eat, the cost is included in your cruise fare. This includes the buffet (which serves breakfast, lunch, and dinner) and the main dining room. There are usually another handful of restaurants like Guy’s Burger Bar on Carnival that are included. If you want to eat, just head up to the counter and get your food. There’s no card to swipe or charge to pay. Every night of your cruise will have a show, usually with a couple of showtimes. Meanwhile during the day there are tons of activities from movies to belly flop contests to trivia. And don’t forget things like the pool and waterslides. All of these are free for passengers to enjoy. You won’t be nickeled and dimed when it comes to having a good time. Want to get in a workout on the ship? The gym is free for guests to use, just like you would expect in any resort. The funny thing is that the gym never seems too crowded on a cruise. Wonder why? When the cruise ship docks, it’s usually at the end of a long pier. But sometimes the water is too shallow to get close to shore. In those cases the ship anchors offshore, and small boats — called tenders — transport people back and forth from the ship to the land. They are free to use and run constantly so you can get off and on the ship anytime you like. While most restaurants are included in your cruise fare, premium restaurants are an additional charge. Premium restaurants are anything that you need to make a reservation to eat at, like the steakhouse. Most of the time these charges are quite affordable — $15-20 per person for an entire meal — and the food is a step above what you’ll find in the dining room. While cruise fares are low, guests are expected to tip generously at the end of the cruise. Suggested tipping amounts come out to about $13 per day, per person for most passengers. That may not sound like a ton of money, but it adds up over the course of a trip. While the gym is free, the spa is going to cost extra. For example, if you want a massage, plan to spend about $100 for an hour-long session. There are also a number of other treatments available from teeth whitening to acupuncture. Of course, we all wish it were free, but rarely do we hear from passengers that the spa was a waste of money. Once your reach shore, it’s up to you to figure out what to do… and to pay for it. Shore excursions come directly out of your pocket. Prices will vary depending on what you want to do, but expect to spend between $50-$100 per person on most excursions. Have a question about if something not mentioned here is included in your fare? Let us know in the comments below.